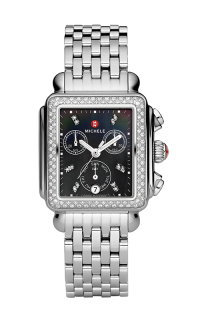 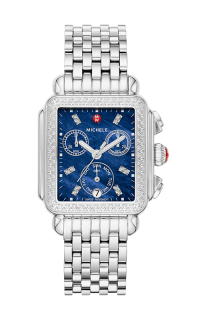 Brilliant diamonds surround the Deep Blue mother-of-pearl dial on our most iconic platform the Deco. 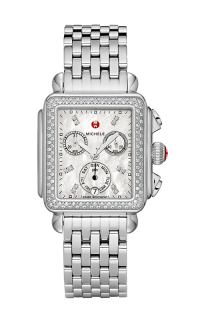 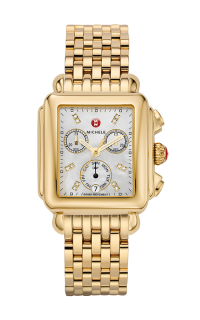 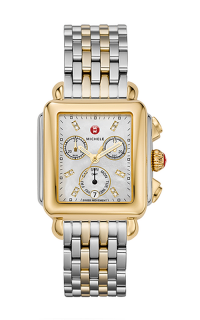 The Swiss chronograph features a subdial for the day of the week. 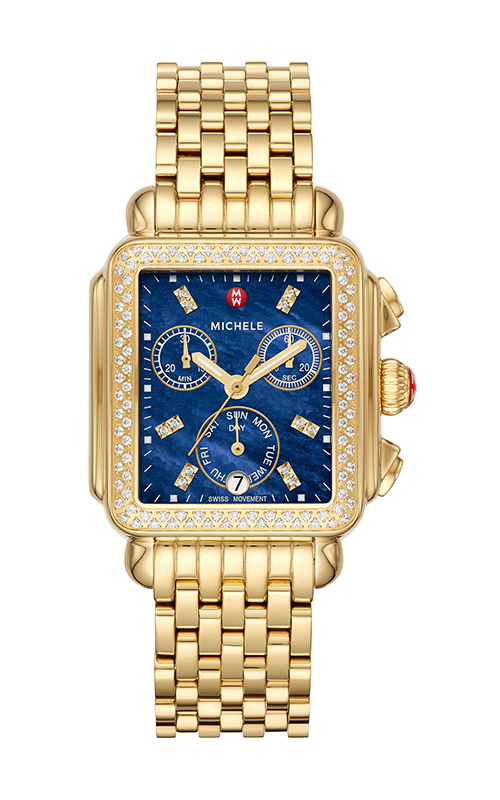 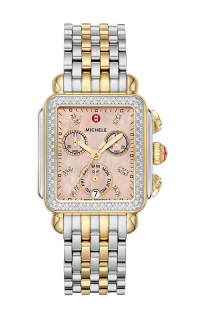 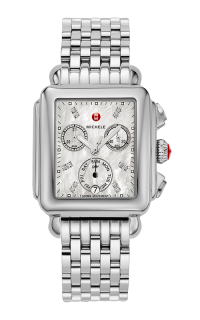 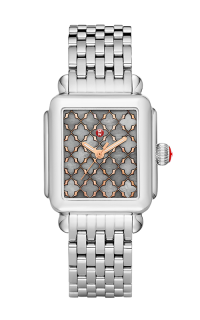 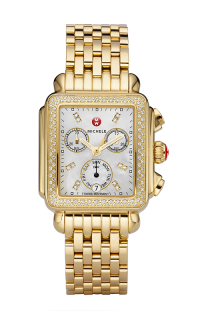 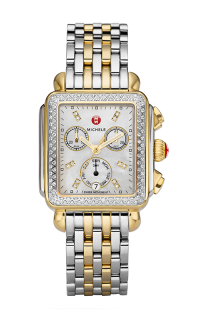 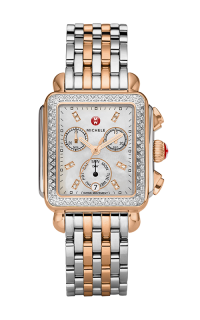 The 18K gold-plated bracelet is made specifically for the Deco collection and is interchangeable with any 18mm MICHELE strap.